One of the most popular movies is Shrek, this is the reason why it has also become a favorite theme of decoration for children of the house, for this reason we bring you some interesting ideas to decorate the halls of the party of your kid or small. 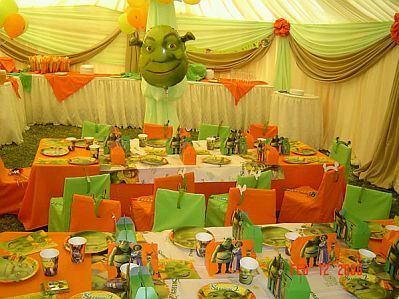 In this first proposal has an entire room decorated with the characteristic colors of Shrek, and a balloon or pinata with his face in the middle. 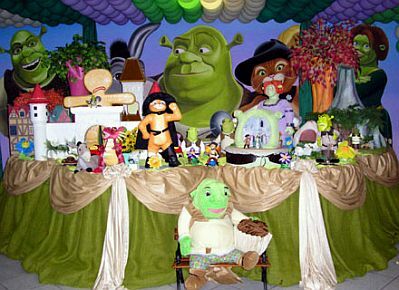 Cheerful decor with Shrek and his friends in the middle, on one side it has a simple carrying balloons, which in turn serves to decorate the place, pretending to be a tree multicolor. 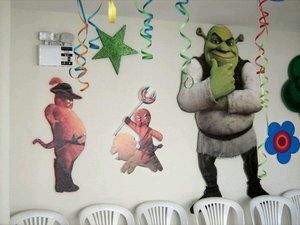 If you prefer something simpler, you can place images of Shrek and his friends hang on the walls and ceilings, ribbons or streamers. Place a giant poster or poster in the back, always looks good, past an arch of balloons, becomes the perfect setting. 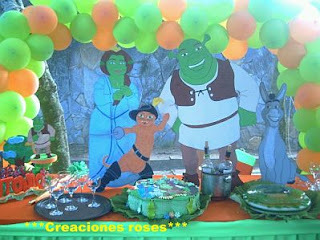 As you can realize, this decoration is very simple to do, round balloons columns combined with long balloons amidst a table decorated with papers, on which are Shrek and his friends. 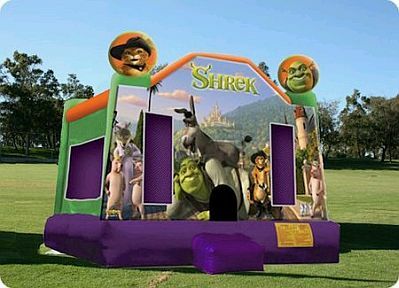 If you also have the opportunity to place a bouncy castle with pictures of Shrek and his friends, the success of your party is guaranteed. 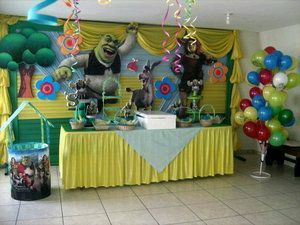 Another nice decoration on the ceilings are completely covered with columns of balloons, a big sign behind Shrek and before the main table. 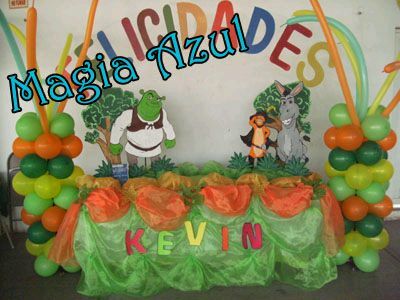 Finally, something that looks good are the posters or posters, placed in the back, you can select the image of your choice and take it to a specialty store, you can also add the name of your little or a phrase of your choice. 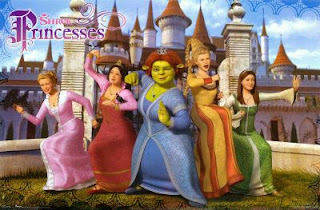 In this first image Fiona and the princesses in a position to place. 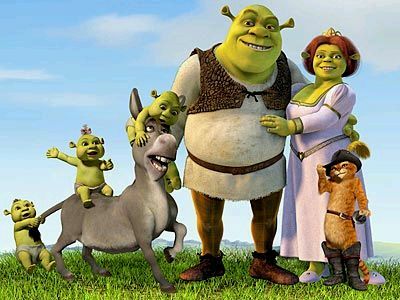 And in this second Shrek and his friends and family.